Perfectly Imperfect: Give A Little! It's late but I thought I'd just drop in a line or two about something. Something that may not mean much to you, but means the world to someone not too far away, someone, who just like you has hopes and dreams and everything in between. 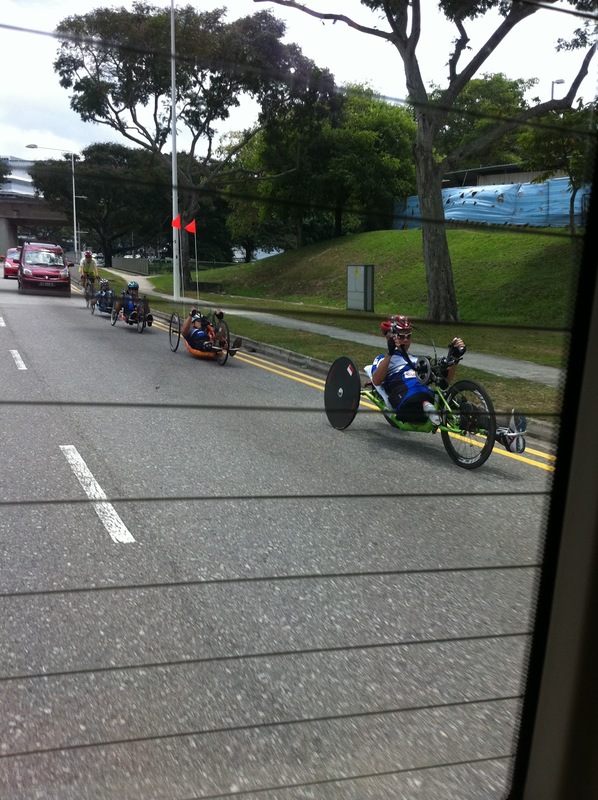 Now, the Wheelathon360 is a one-year program run by Handcycling Association of Singapore (HAS) and Singapore Disability Sports Council (SDSC) aimed at engaging and enabling the physically challenged to do sports. Funds will support the education and outreach to schools and organisations with physically challenged people, sports development of the physically challenged, sports equipment maintenance and purchase and provision transport to subsidise the physically challenged to do sports. 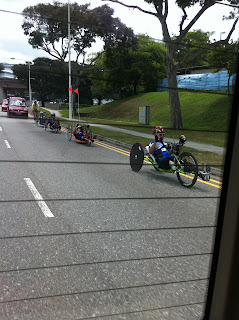 I've met the kids who've hooked up with the Handcycling Association, and spoken to some of their family. The sport has opened up various doors of opportunities for them, giving them something to look forward to and to excel in. 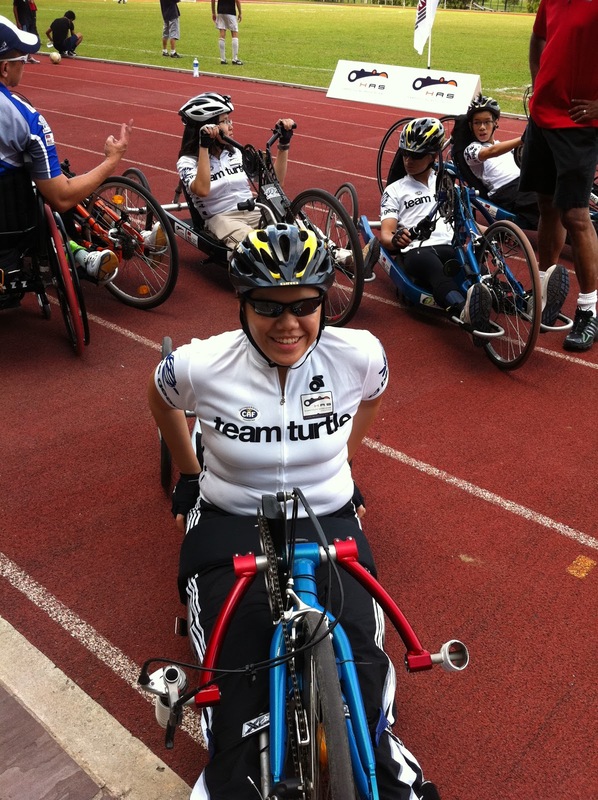 Now, each Handcycle costs quite a large amount, and it's no wonder that fund-raising is necessary in order to purchase these sporting equipment. 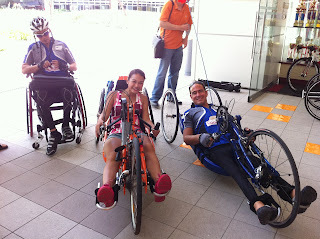 The Handcycling Association of Singapore (HAS) has a mission to cultivate Handcycling into an established sport for disabled athletes and to develop Handcycling to all as a recreational, rehabilitative and competitive sport. And to do that, they need YOUR HELP! Mother Theresa once said, "it's not how much we give but how much love we put into giving." 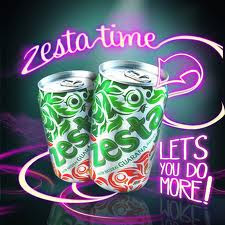 And there are many other ways you can support this cause. 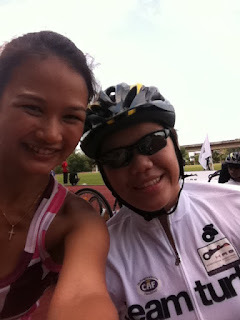 Log on to Wheelathon360.com for more information.